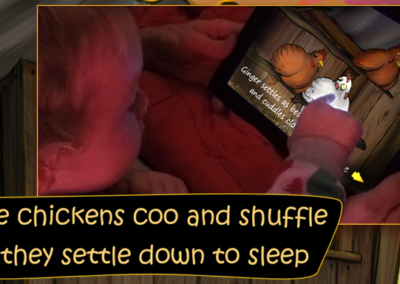 Goodnight Coop asks the question “Can an electronic tablet book to help a child fall asleep? 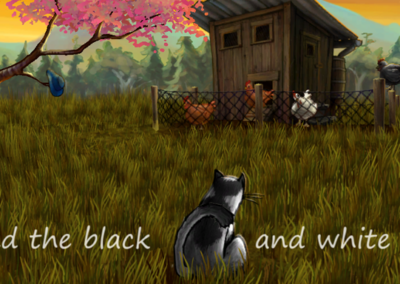 A gentle homage to that comforting cuddle that ends a perfect day. 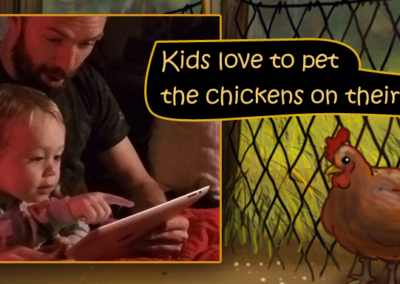 Designed to be read in bed with a parent, the story becomes quieter and sleepier, until the hens are fast asleep for the night, tucked safe in the coop. 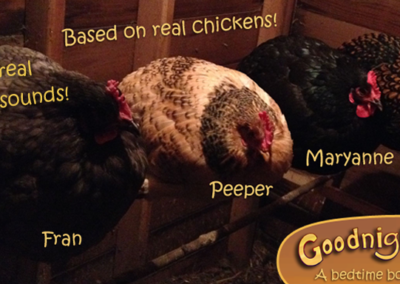 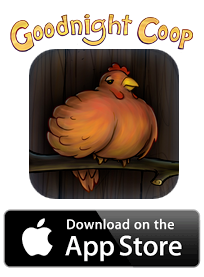 Featuring real sounds from our backyard chickens!